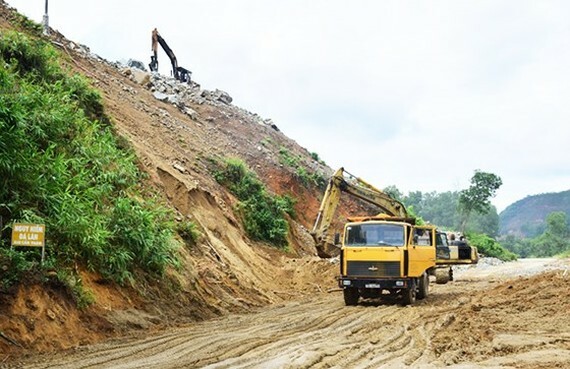 Heavy rains which was occurring last night have blocked parts of provincial road 16 connecting from Huong Dien Hydro-power Plant to Huong Van, Huong Tra town in the northern province of Thua Thie Hue, said Deputy Chairman Nguyen Van Phuong of Thua Thien Hue People’s Committee this morning. 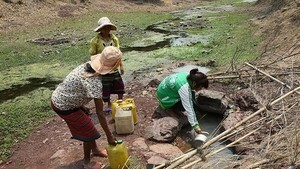 Mr. Phuong asked local authorities continue to mobilize all forces to overcome landslides, ensuring traffic safety. Besides, authorities and related agencies must speed up repairing and upgrading the landslide hit roads. The central provinces are entering the flood season, thus authorities need to keep a close watch on weather forecast; re-check residential areas along rivers, lowland areas nearby the dams and having necessary measures to move households out of the dangerous zones, preparing for food & water storage, medicines and essential goods, added Deputy Chairman Phuong.